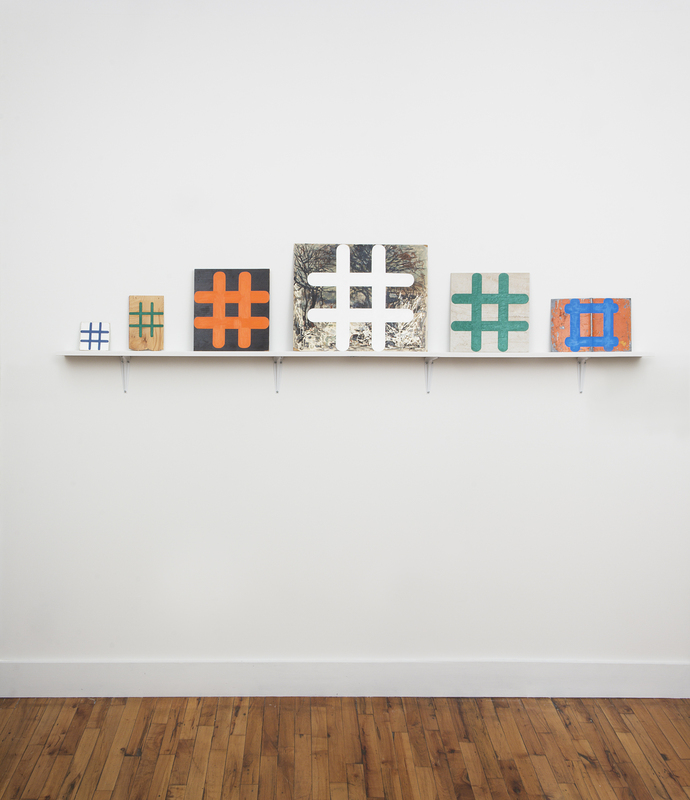 The exhibition Hashtag Nation, features a series of works created on discarded surfaces of varying dimensions and materials. 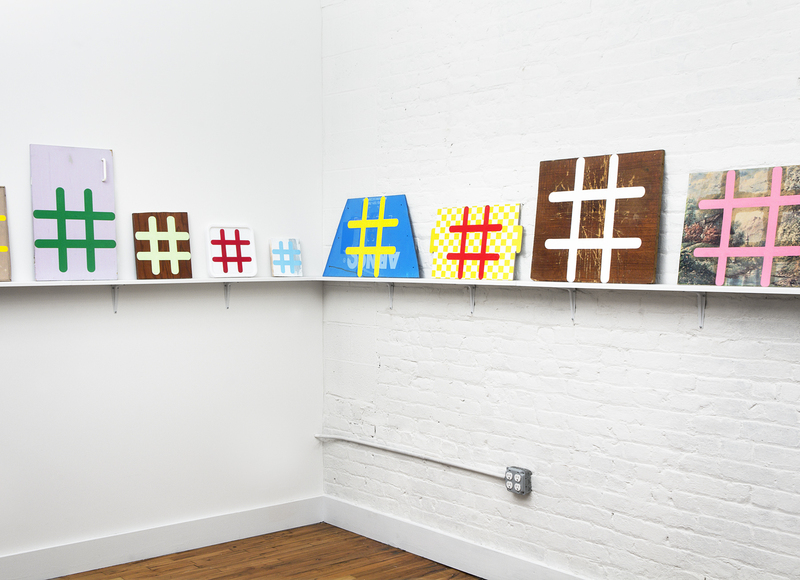 These disparate surfaces, found and selected by the artist, serve as reinvigorated grounds for the painterly application of the hashtag. 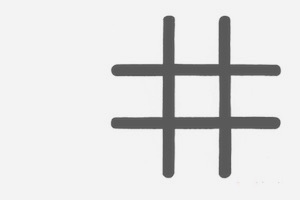 When used on social media sites, the hashtag preceding any word, or phrase, enables the identification and retrieval of messages that are similarly categorized. 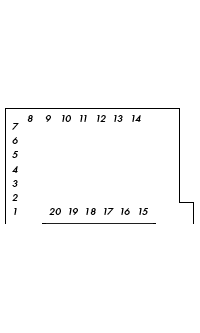 Within that framework, any word or phrase is functionally activated by the mere inclusion of this accompanying symbol. 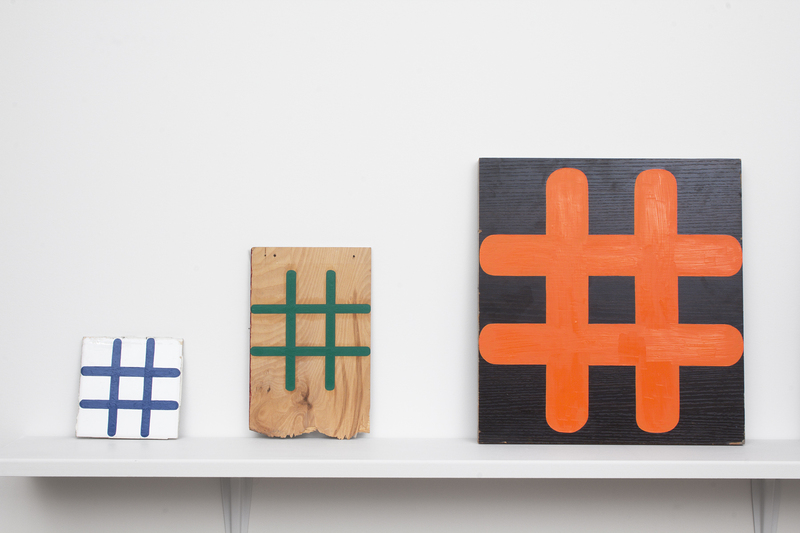 In these works however, the hashtag holds a more seemingly defunct role, as it’s removed from its conventional usage as a device in the proliferation of digital culture. 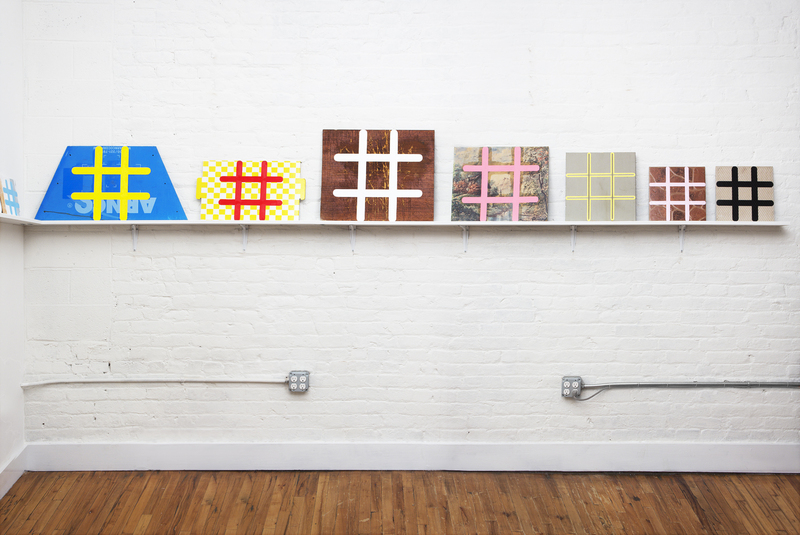 Within these works the hashtag operates as a visual device for the concerted arrangement of color and form, alluding simultaneously to geometric abstraction’s most standard of tropes, the grid, and to pop art’s appropriation of recognizable symbols and images from the every-day world. The lighthearted appropriation here however is not just of the hashtag, but also of the unwanted and discarded physical objects, objects that display surface treatments that are both intentionally and incidentally applied. 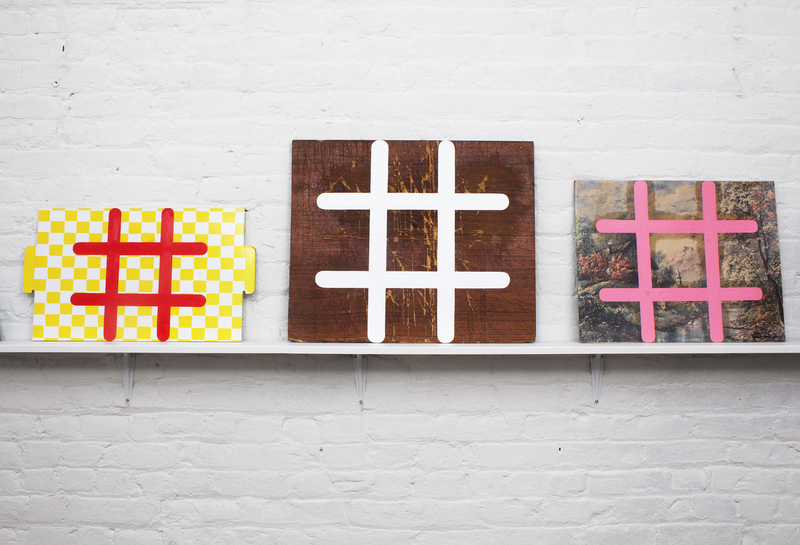 The result is an installation of disparate and discrete works displayed on shelves along the three main walls of the exhibition space in three distinct groupings. 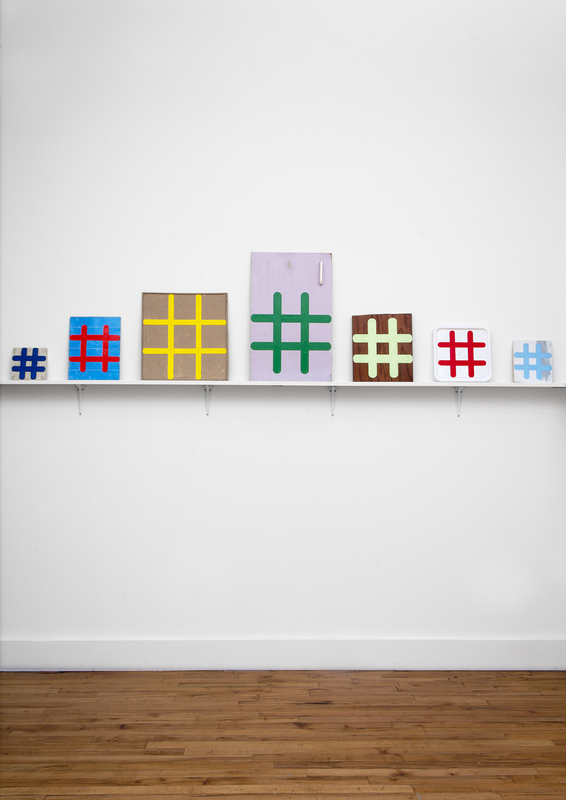 This allows for the arrangements to retain a sense of unity, while each work within continues to demonstrate its own autonomous logic.